"I've mentioned before my admiration of this machine and the people who keep it operational... their cause not always aided by the punishment meted out to it by odd members of staff. 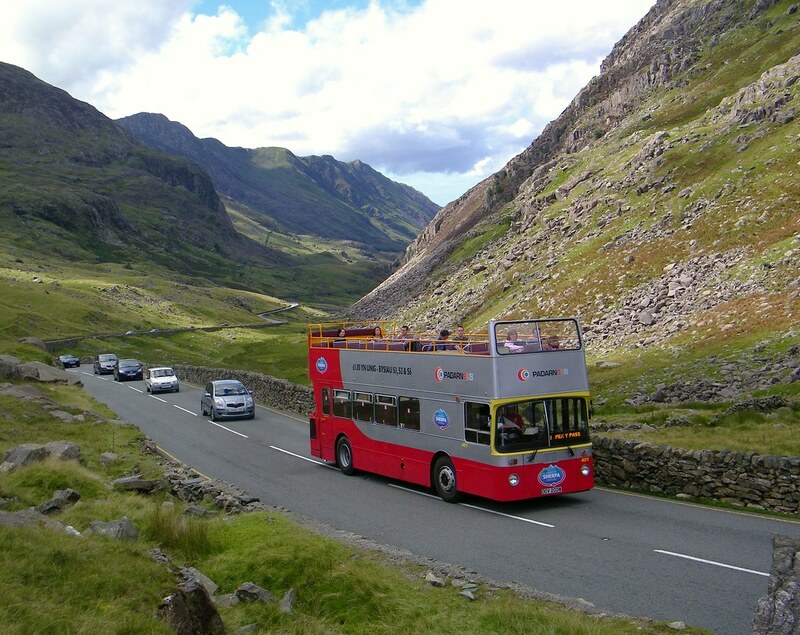 There can be few thirty odd year old buses in the UK who's daily cycle sees them worked as hard as ex Plymouth East Lancs bodied Leyland Atlantean ODV 203W thrashing up and over the Llanberis Pass from both sides hourly. Again as I've said before, absolutely excellent value at a quid each way... try it out! ;-)"